Samsung Galaxy Tab S4 and Galaxy Tab A 10.5 have been launched formally. While the Galaxy Tab S4 is designed to offer premium-class productivity - similar to Apple's iPad Pro, the Galaxy Tab A 10.5 comes as another affordable tablet to entertain users while on the go. 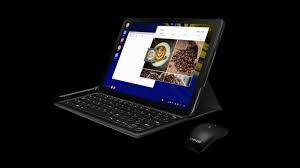 Samsung has provided its DeX integration within the Galaxy Tab S4 to offer a desktop-like experience. The top-end tablet also AKG-tuned speakers and Dolby Atmos sound as well as a 10.5-inch Super AMOLED display. Further, the tablet comes with an all-new S Pen and an optional Book Cover keyboard to meet the diverse requirements of professionals. The Galaxy Tab S4 and Galaxy Tab A 10.5 are both preloaded with Samsung's SmartThings app to let users remotely control their connected devices and monitor their smart homes. The Samsung Galaxy Tab S4 price in the US has been set at $650 (approximately Rs. 44,400) for the 64GB storage variant, while its 256GB storage model comes at $750 (roughly Rs. 51,200). Its pre-orders have already kicked off in the US, though its global availability details are yet to be announced. Samsung Galaxy Tab A 10.5 price and availability details are yet to be revealed. As a successor to the Galaxy Tab S3 that was launched last year, the Samsung Galaxy Tab S4 runs Android 8.1 Oreo along with Samsung Experience UX on top and features a larger, 10.5-inch WQXGA (2560x1600 pixels) Super AMOLED display along with a 16:10 aspect ratio and 287ppi pixel density. There is Samsung DeX support to enable desktop-like computing and offer users a way to open multiple desktop-style windows for Android apps, including the Microsoft Office suite. There is also an option to drag and drop content between apps and even use keyboard shortcuts and commands on the optional Book Cover keyboard - similar to a traditional notebook. Additionally, is the new S Pen with as many as 4,096 pressure levels and a pen tip of 0.7mm diameter. The tablet is powered by an octa-core Qualcomm Snapdragon 835 (MSM8998) SoC that has a maximum clock speed of 2.35GHz, coupled with 4GB of RAM. On the back, there is a 13-megapixel autofocus sensor along with an f/1.9 aperture, while an 8-megapixel sensor along with the same f/1.9 aperture is available at the front. Samsung has provided a bunch of software packages to make the Galaxy Tab S4 a considerable productivity option. The tablet has Samsung Flow to let users manage all their compatible devices by connecting and transferring files, tasks, and notifications seamlessly. 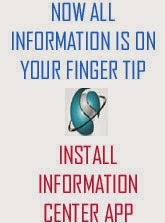 Likewise, there is a Daily Board app that provides photos and everyday information such as the weather, calendar, and time on a single screen. The tablet also has Samsung Knox to protect the experience from malicious access. Moreover, IT managers can tailor the interface to match their employees' requirements. On the storage front, the Galaxy Tab S4 has 64GB and 256GB of inbuilt storage options that both are expandable via microSD card (up to 400GB). The tablet has 4G LTE (optional), Wi-Fi 802.11 a/b/g/n/ac along with Wi-Fi Direct, Bluetooth v5.0, GPS+GONASS, and USB Type-C. Samsung has provided four onboard speakers that all are tuned by AKG and use Dolby Atmos technology. Sensors on board include an accelerometer, compass, gyroscope, hall sensor, RGB, proximity, and an iris scanner. Besides, there is a 7300mAh battery that supports fast charging, and the tablet measures 249.3x164.3x7.1mm. Similar to the Galaxy Tab S4, the Galaxy Tab A 10.5 also runs Android 8.1 Oreo along with Samsung Experience UX on top and features a 10.5-inch display with a 16:10 aspect ratio. But the display panel is a TFT LCD one that comes in WUXGA (1920x1200 pixels) resolution. The tablet is powered by an octa-core Qualcomm Snapdragon 450 SoC, coupled with 3GB of RAM. It has an 8-megapixel autofocus sensor at the back along with an LED flash module and a 5-megapixel sensor at front. Compared to the Galaxy Tab S4, the Galaxy Tab A 10.5 neither has Samsung DeX support nor an S Pen integration. The tablet instead comes preloaded with kids-focused content, including a Kids Mode, Kids Browser, Galaxy Apps for Kids, and eight free child-friendly apps. There is also a Multi User Mode that lets users create a separate account for their kids. For on-the-go entertainment, the tablet has four speakers - powered by Dolby Atmos. For storing content, the Galaxy Tab A 10.5 has 32GB of onboard storage that is expandable via microSD card (up to 400GB). The tablet has 4G LTE (optional), Wi-Fi 802.11 a/b/g/n/ac along with Wi-Fi Direct, Bluetooth v4.2, GPS+GLONASS, and USB Type-C. Sensors on board include an accelerometer, compass, gyroscope, RGB, and a hall sensor. The tablet packs a 7300mAh battery and measures 260x161.1x8mm.